March 5, 2013  Augusta National Golf Club says the jacket won by Art Wall Jr. in 1959 was later stolen; a Florida collector and a Texas auction house insist the jacket was obtained legally and can be sold to the highest bidder. April 9, 2012  Hours of hitting little plastic balls as a kid taught him how to make things twist and turn in the air. And attention-deficit disorder appears to have helped him think of creative shots that others might not. 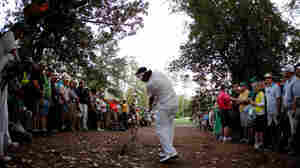 The Masters Begins: Will Tiger Woods Win? Do You Want Him To? 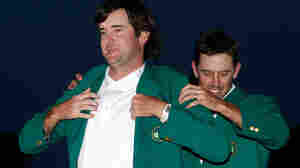 April 5, 2012  As the first major men's tournament gets going, there's speculation that Woods will win. Would you like to see him do that? He hasn't won a major since before his personal life exploded onto front pages in 2009.